Excuse me, Change Agent, what’s your strategy? How-to guide for educators. I really enjoy the board meetings and they are also a great learning experience for me, as we collaboratively develop strategy to guide the future direction of the organisation. Working with the fellow board members and the CEO we focus on the big picture. This is what strategy is all about. A strategy is how we turn ideas into action. An idea alone doesn’t change anything. Actions in isolation may either help or hinder. Articulating a strategy provides a plan. Yet, as the board chair at Halogen remarked at a recent board meeting, “a strategy is just a hypothesis”. Put simply, it relates to plans and actions that will help you to achieve goals. Blue sky thinking is really important in the early stage, but if we just stay there we will achieve little and just ‘do stuff’. There comes a time when strategy and discipline needs to be applied for change to become reality. Many of us have learnt this along the way, yet as we face a society of fast-paced change, the skills and process of working strategically have become more critical. If we are working in teams on projects, then adopting a strategic approach facilitates progress. How do we develop strategy to meet our goals, however large or small? 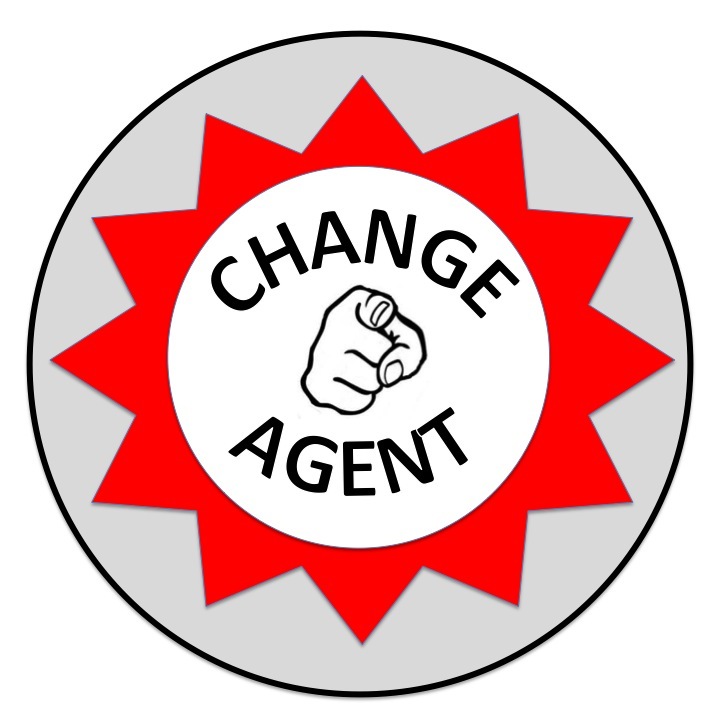 If you have accepted the role of Change Agent, then growing the skills of strategic planning is an important step. Developing goals and implementing a plan is a process available to anyone. No longer just the domain of the board or Senior Leadership Team. narrows into a laser beam. Who is with you on this process? It is important that you are working collaboratively on the strategy. Educators are no longer lone rangers and need to work in teams. What will it look like when we have achieved our goal? Draw, make, creatively express the future. Have some fun in this stage. There needs to be a good reason why you have your goal. Leaders change things for the better. So, what is “the better”? A realistic assessment of Where am I? 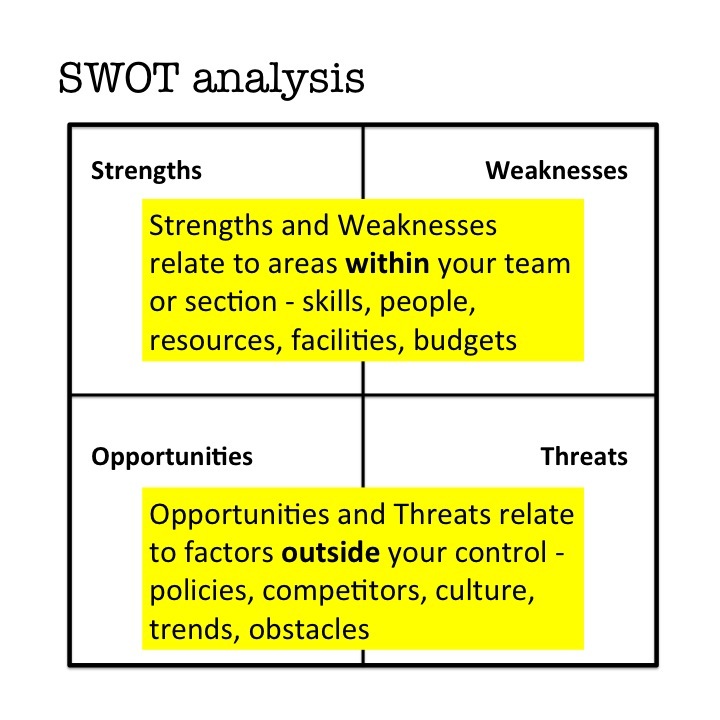 is essential and a SWOT Analysis is a good place to gather information. What is the Big Opportunity? The goal is important as the basis of the strategic plan, but may not be exciting enough to “sell” your idea to the team. Reframing your goal as a Big Opportunity makes the task ahead something that engages and excites people. The next step is taking the broad information and start to focus the light on your goal. It’s time to put pen to paper on your idea. Spending time working on planning documents is essential and develops accountability. This involves articulating your goal in a way that creates a plan of action. Start answering these big questions. Narrowing your ideas even further involves making decisions and these decisions are commit to action. One of the most difficult thing is committing to a time frame. The plan is your road map. Strategic planning is a discipline. It’s not set in stone, you can deviate from the path as time progresses, but it provides the essential point for implementing ideas, guiding your team and leading change.